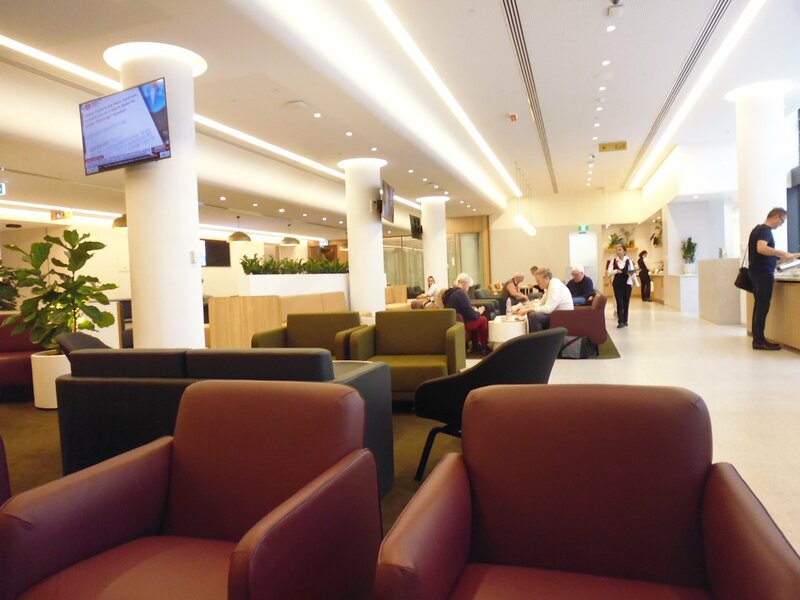 Despite many emails to Qantas, live chats with Qantas reps, phone calls to the Frequent Flyer number, and online sources such as Australian Business Traveller, as well as at check-in, I couldn’t get a clear and consistent answer as to whether or not I’d have access to the Qantas international lounge at Perth. Qantas’ own website says that access is only for transit passengers coming in from London and going on to Melbourne, or those travelling from Perth to London, with nothing at all about those international passengers starting their journey in Perth and going to Los Angeles via Melbourne. Everyone and every source said something different, including the Qantas person at the entrance to the immigration/customs area at Perth. He sent me back to the domestic Business Lounge to talk to them, where I got another ‘no’. Fortunately, the other person at the desk at the Business Lounge overheard my conversation, and assured me that yes, I DID have access. She called the international lounge desk and walked me to the entrance to immigration and customs where she very politely told the guy who told me earlier I wouldn’t have access that in fact I did because I met all the usual criteria AND I was a connecting passenger to LAX (via Melbourne). So after weeks of trying to get a straight answer, here I am (eventually) in the new Qantas International Lounge at PER. They’ve had this terminal and lounge operating since March 24, so you’d think after three weeks there wouldn’t be so many mixed and confusing messages and information. Bottom line: Consistent messaging is key for the customer. Consistency reduces confusion. 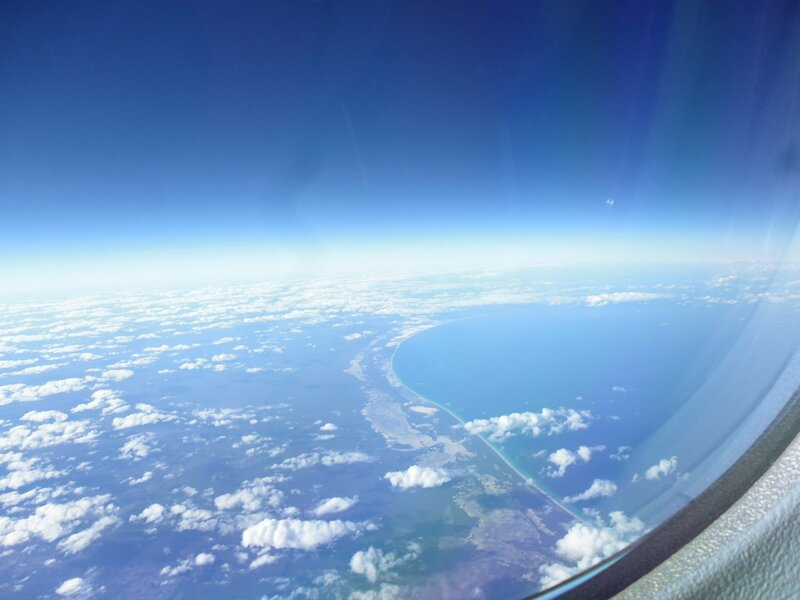 This was my first flight on the Boeing Dreamliner 787-9. I was on one of the new planes recently purchased by Qantas and named ‘Waltzing Matilda’ (I had secretly hoped I’d be on ‘Quokka’!). 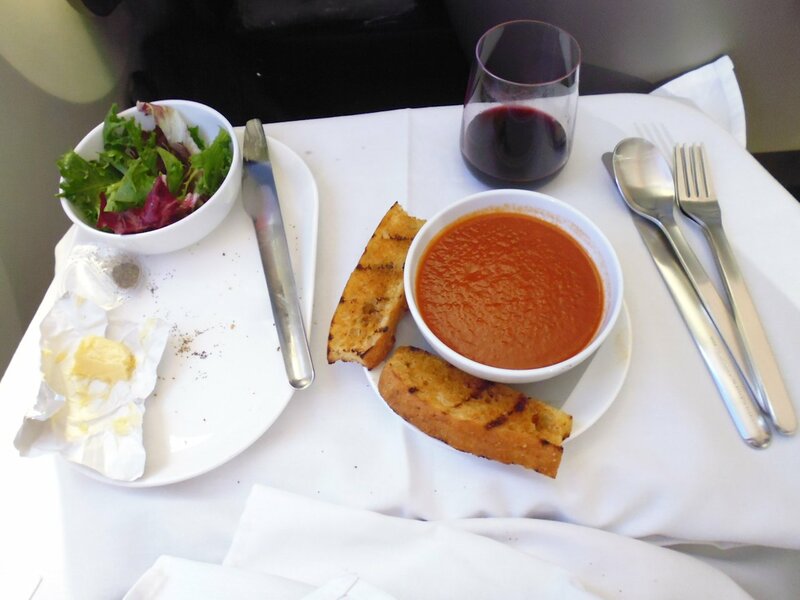 For this domestic leg of the London-Perth-Melbourne-Los Angeles flight, I found very little different to the fittings, food, and service you get on Qantas’ domestic A330 cross-country flights. The window shades were interesting — not a shade so much as a control that changes the structure of the molecules (??) in the window ‘glass’ to let in full light through to pitch black. The lighting was interesting too, but the test for that on combatting jet lag will be on the next leg to Los Angeles. The Business Class lie-flat seat seemed the same as that on the A330. It will be interesting to see if there’s any difference to the bedding and facilities once it becomes an international flight again. 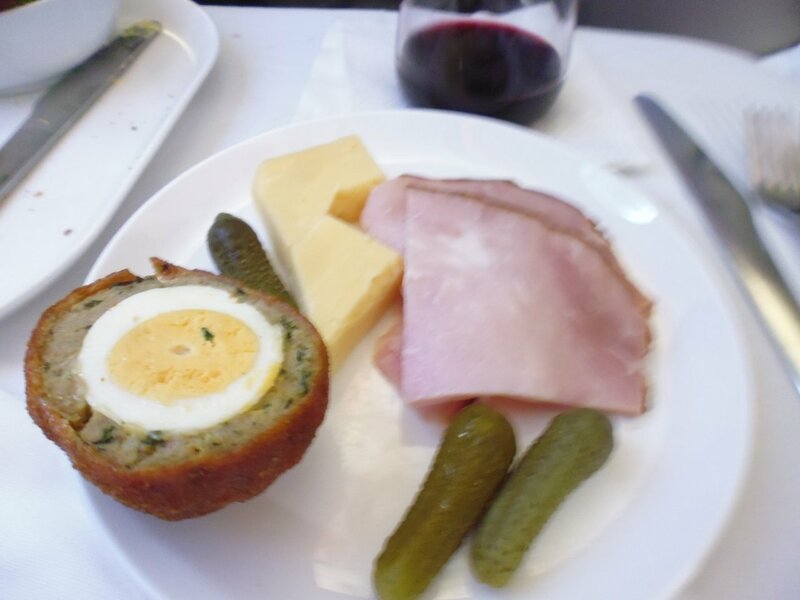 For my meal I had the tomato soup with a garlic and parmesan toast, followed by the ploughman’s plate, which comprised sharp cheese, smoked ham, pickles, and half a scotch egg (hot). 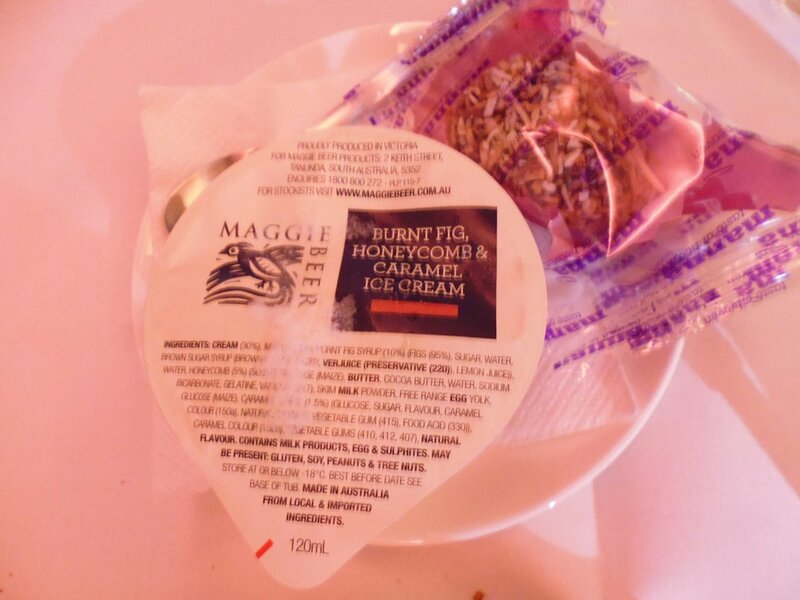 And a Maggie Beer ice cream, of course! I watched ‘Three Billboards Outside Ebbing, Missouri’ on this flight, which I enjoyed, except for the ending which sort of left you hanging. Perhaps they’ll make a sequel? 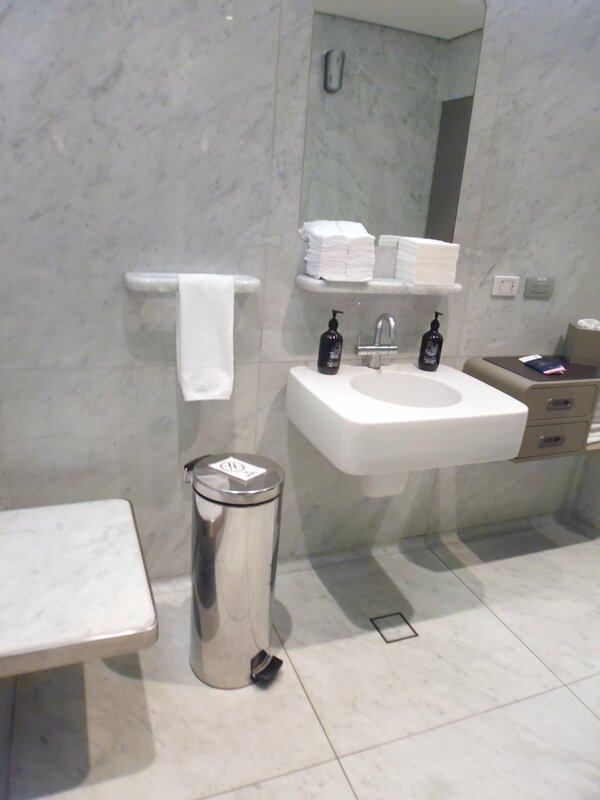 Once I arrived in Melbourne, I went to the International Transfer area, where you go through hand luggage security again, and then into the Qantas First International Lounge, where I had a lovely shower and a small plate of their delicious salt and pepper squid. We’re going to be fed again on the flight — at least once — so I figured I’d go easy on the menu in the lounge! This next flight will be interesting — it leaves at 9:40pm and arrives at LAX around 7pm, so basically it’s a 14.5-hour night flight. Most times I’ve flown to the US, I’ve left around noon, getting in around noon (Dallas) or 7am (LAX), which means there’s still quite a bit of day to get through. This time we get in at night and I won’t get to San Francisco until nearly midnight, so I’ll see how I go with sleeping on the plane (I never do) AND getting in at bedtime. One of the things about the Dreamliner is that it’s supposed to have cabin pressure set to about 5000-6000 ft, instead of the usual 7000-8000 ft, plus more humidity (about 10% instead of the usual 2%), and therefore there’s a much greater chance of sleeping and/or arriving not feeling like a zombie on landing. Here’s hoping… My track record with sleeping on planes is pretty abyssmal — I cat nap at best, even on a lie-flat bed in Business or First Class. Watched two movies — Goodbye Christopher Robin and I, Tonya — both with Aussie Margot Robbie as the lead actress. I enjoyed them both. The I, Tonya one was especially enlightening, though obviously from her perspective — I have only vague memories of the original incident. The Business Class seat is the same as that on the A330 (domestic; as mentioned above), which means that your feet sit in a narrow space at the end of the lie-flat bed and it’s a bit cramped. The tray table wraps around you, but you can’t push it further out, so if you’re big (like the 2+ m tall guy opposite me), you’re going to feel quite squashed. 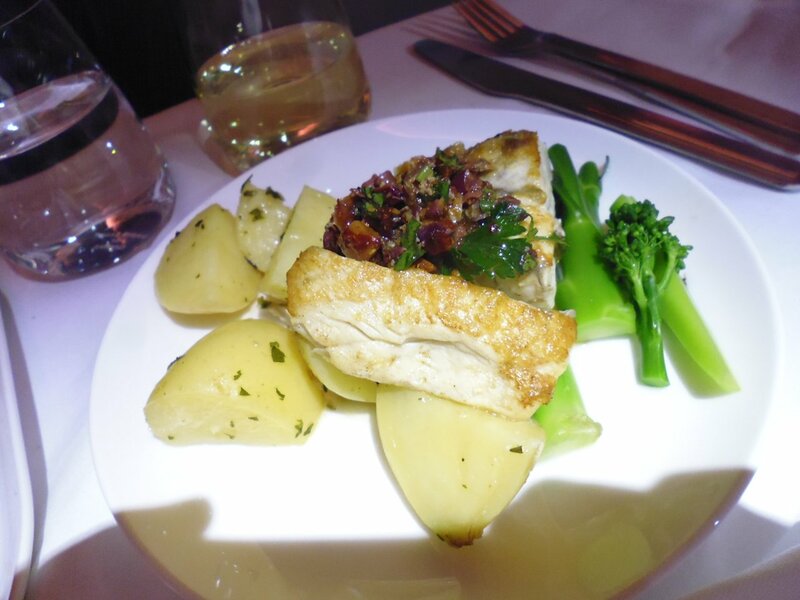 The service was OK, but not as good as I’ve come to expect on Qantas, particularly in international Business Class. 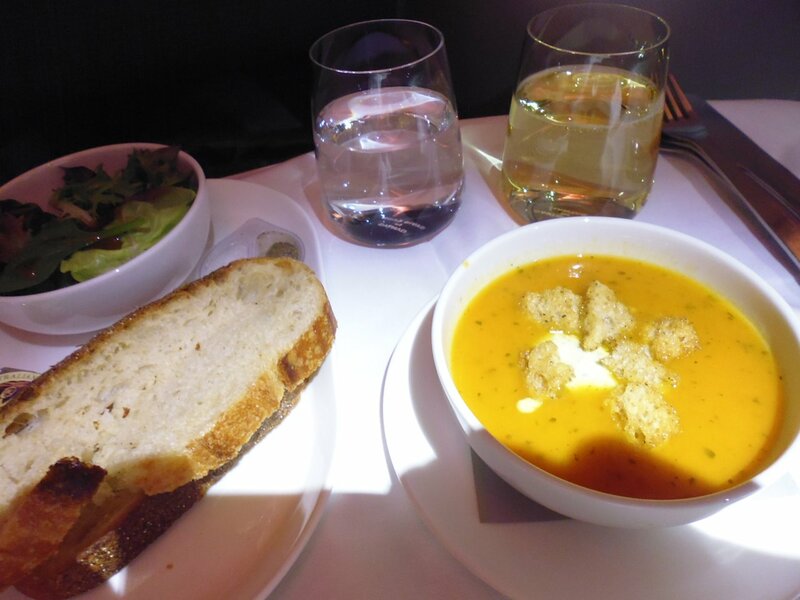 Meals were good — there was a main meal after we got underway, then a snack meal about 2 hours out of LAX. I believe snacks were available at any time during the flight, but I didn’t avail myself of them. Toilet was very cramped — especially for Business Class. I used the single toilet at the front of Business, but I believe there was about 4 of them behind Business that are shared with Premium Economy. It was much noisier than I expected. I had a very noisy air vent, which they partially fixed after I complained about it on the PER-MEL leg and before we took off for LAX. I think there was still a bit of loose plastic behind it (this is a new plane), and it made a lot of noise from PER-MEL, but wasn’t quite so bad from MEL-LAX. Turning the air vent fully open (mini cyclone) or fully closed fixed the problem, but I like having a soft blast of fresh air on my face, so had to put up with the noise. The noise from the aircraft was also quite loud, even with ear plugs in and noise-cancelling headphones on. The noise-cancelling headphones work very well for watching movies etc., but I can’t sleep in them as the ‘cans’ really hurt my ears when I lie down. I slept maybe 2 hours the entire flight. With the turbulence and the noise, sleep was always going to be hard to come by. And for the first time I noticed how dry the air was, despite this plane supposedly having better humidity levels than the A380. I didn’t feel particularly refreshed on landing, but I didn’t feel like a zombie either. So, is the Dreamliner the way for me to go in the future, if I have a choice? Probably not. It’s fine, but for me it wasn’t all it was cracked up to be and my experience certainly didn’t match the hype. We left about 40 mins late and arrived in LAX about 10 mins late. I’d forgotten how bad LAX could be, and even though it was hellish, it could have been MUCH worse had they not had about 100 automated kiosks for immigration — had we all had to be processed in person as it used to be, I’d probably still be in the queue! Our flight arrived around the same time as a flight from China, one from the Philippines, another from the UK, and one or more from Central/South America. The automated kiosks for ESTA holders worked well, but the language barriers and the unfamiliar technology meant that some people spent way more time than necessary at them. When I put my passport in, it asked me questions in Chinese, and I had to cancel and eventually get back to the screen where you choose your language. Needless to say, with that many people it took about 45 mins to get through the immigration queue, automated kiosk, and then we had to go into another queue for processing by Homeland Security (only 2 guys on desks dealing with a hundred or so in the line), before getting to baggage claim. Once I got my bags, it was into another queue for them to take away the kiosk receipt I’d received about an hour earlier! Then yet another queue to check my bags for my connecting flight. 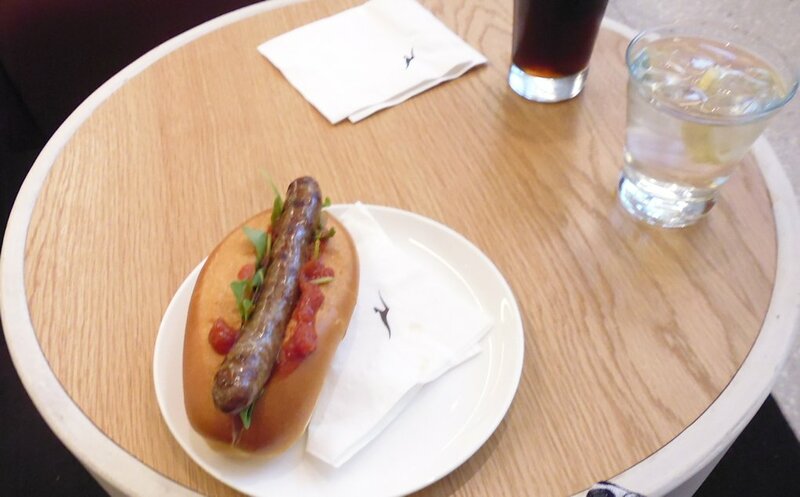 As I had 2.5 hours between landing and taking off on the next flight, my plan was to go back through security at Tom Bradley terminal, then to the Qantas Lounge for a quick shower and a light bite to eat. However, with yet ANOTHER long queue for security, by the time I got to the Qantas Lounge I didn’t have enough time to do any of that, so instead hightailed it to Terminal 4. I poked my head in at the Admirals Club lounge to find out where I had to go to catch my flight to San Francisco — she told me I had to keep walking, then go downstairs to a holding area, then get taken to a regional terminal, and no, I probably didn’t have enough time for a shower. Off to the holding area for gates 52A to 52H, where a bus picked us up and took us to another terminal. 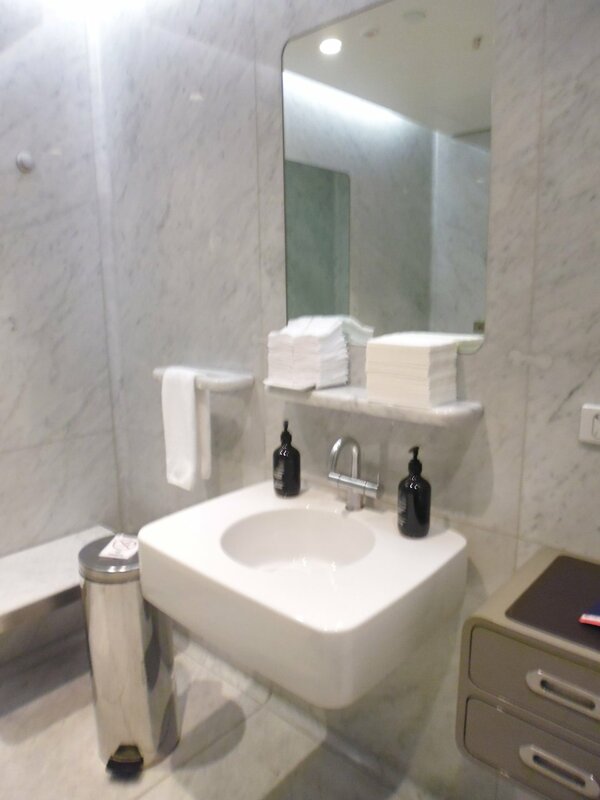 There was a very small Admirals Club here too, but no shower facilities. Oh well, I’d have to wait until I got to my hotel. No big deal. 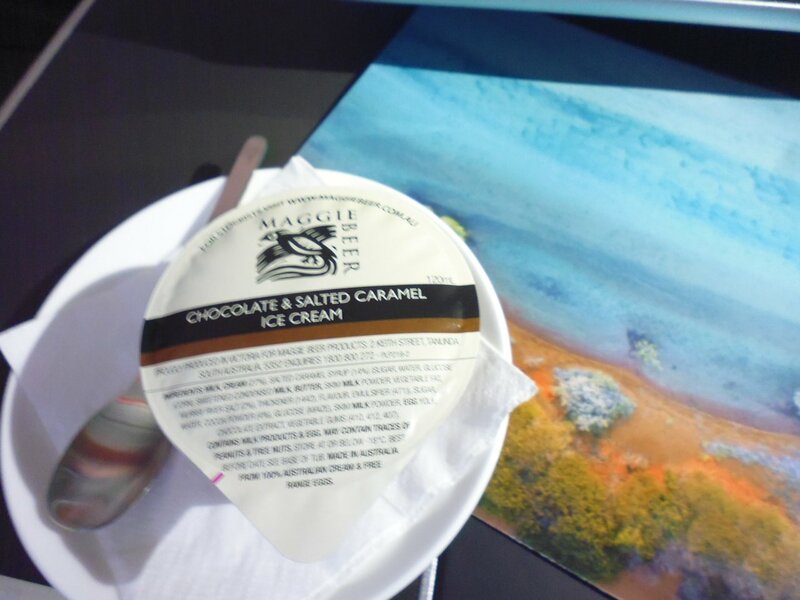 There was some snack food, so I had a bit of that, plus some water as it’d been a long time since I’d had water on the Qantas flight. And then the flight was delayed some 20 minutes. When they started to ‘board’ us, it was to a covered walkway on the tarmac, where we had to wait for a bus to take us to the plane, then walk up a ramp to the aircraft doors! By the time we took off, we were an hour late getting out of LAX. Fortunately, the flight to San Francisco was just on an hour, though there was a mess up at the terminal because the tug hadn’t put the aircraft in the correct position for the jetway, so we all had to sit back down and wait while they moved it again. By the time I collected my bags (yes, they arrived safe and sound) and gone back up to the departures level to find the hotel shuttle pick-up area, it was almost midnight. Eventually the shuttle came — the last one for the hotel for the day — and I got to my room after 1pm. 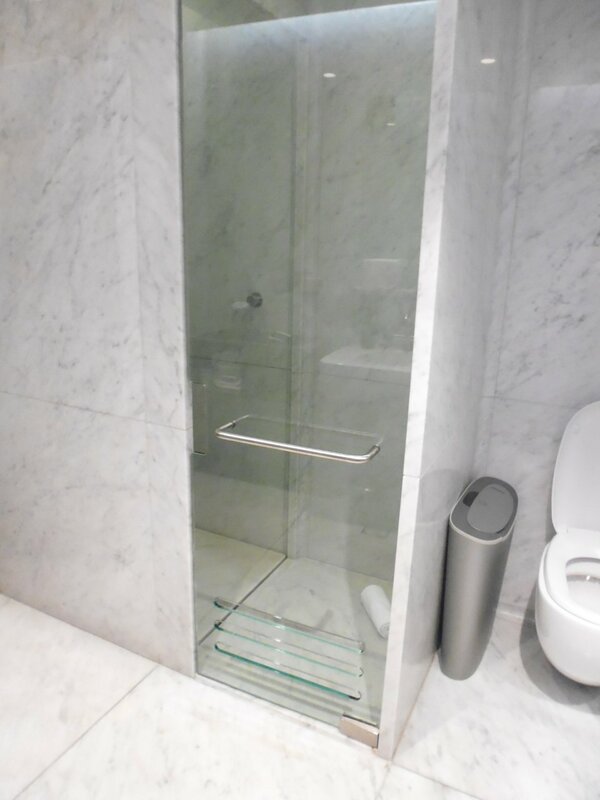 Finally, I had that hot shower and fell into a super comfy bed!! I worked out there was 35.5 hours between getting out of bed at home and into my bed at San Francisco, with about 2 hours sleep (cat napping only) in between. A long day, indeed.